DALLAS --(BUSINESS WIRE)--Oct. 23, 2017-- Kosmos Energy (NYSE: KOS) (LSE: KOS) announced today that in partnership with Trident Energy (Trident), it has agreed to acquire an interest in three exploration licenses, as well as Hess Corporation’s interest in the adjacent Ceiba Field and Okume Complex assets offshore Equatorial Guinea on a 50-50 basis. Under the terms of the agreements, Kosmos will be primarily responsible for exploration and subsurface evaluation while Trident, a newly formed international oil and gas company supported by Warburg Pincus , will be primarily responsible for production operations and optimization. The transactions capture a material position in proven but under-explored oil basin originally discovered and operated by members of the Kosmos management team. The gross acquisition price of $650 million is effective as of January 1, 2017 . Kosmos is expected to pay net cash consideration of approximately $240 million at close, subject to post-closing adjustments. The company plans to fund the acquisition using cash on hand and availability from its reserves based lending (RBL) facility. As a result of the transaction, Kosmos expects the RBL to increase, resulting in Kosmos maintaining its current liquidity of approximately $1.2 billion . The transaction is expected to close by year end, subject to customary closing conditions. A slide presentation will be made available on the Investors page of Kosmos’ website at www.kosmosenergy.com prior to the call. A replay of the webcast will be available on the website for approximately 90 days following the event. Kosmos is a leading independent oil and gas exploration and production company focused on frontier and emerging areas along the Atlantic Margin. 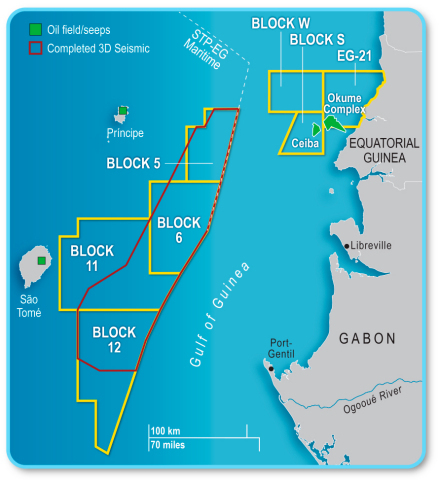 Our assets include existing production and development projects offshore Ghana , large discoveries offshore Mauritania and Senegal , as well as exploration licenses with significant hydrocarbon potential offshore Suriname, Sao Tome and Principe , Morocco and Western Sahara . As an ethical and transparent company, Kosmos is committed to doing things the right way. The Company’s Business Principles articulate our commitment to transparency, ethics, human rights, safety and the environment. Read more about this commitment in the Kosmos 2016 Corporate Responsibility Report. Kosmos is listed on the New York Stock Exchange and the London Stock Exchange under the ticker symbol KOS. For additional information, visit www.kosmosenergy.com. Trident Energy is a newly formed independent oil and gas exploration and production company focused on the acquisition, operational improvement and optimization of international mid-life assets. The company is currently building a diversified portfolio of onshore and offshore producing operated assets through acquisitions. Trident Energy has a global mandate, with a primary focus on Africa and South America . The company is led by an experienced management team with over 100 years of international oil and gas operating experience. Trident Energy is supported by an equity commitment of up to US$ 600 million led by Warburg Pincus , a leading private equity firm focused on growth investing with significant energy experience. For further information, visit www.trident-energy.com.